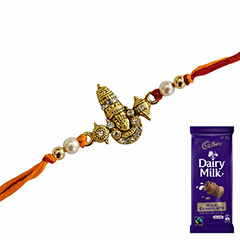 What about giving something auspicious to your brother who is living in Australia, far away from divine tradition? 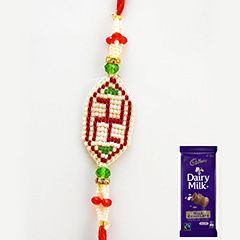 On this Raksha Bandhan send a divine Rakhi thread for your Australia residing brother that will give some homely feeling to him. 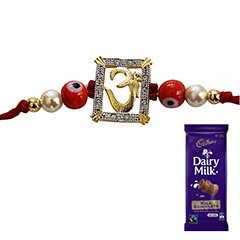 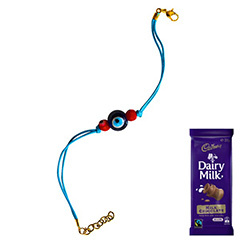 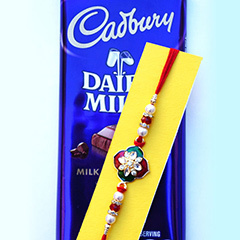 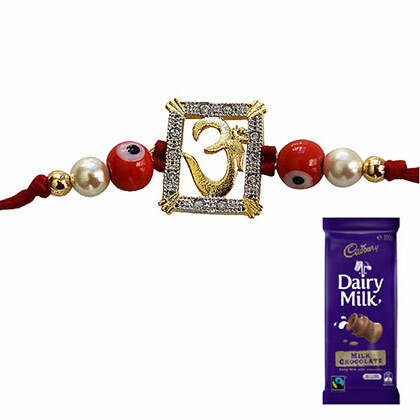 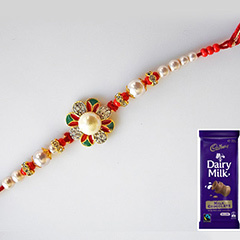 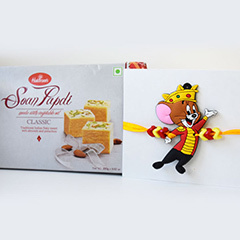 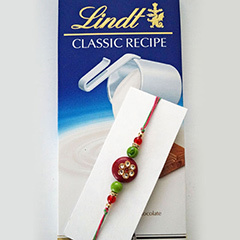 He will definitely appreciate your thoughtful idea of sending this Rakhi combo of beautiful divine Rakhi with a sweet present of chocolate.